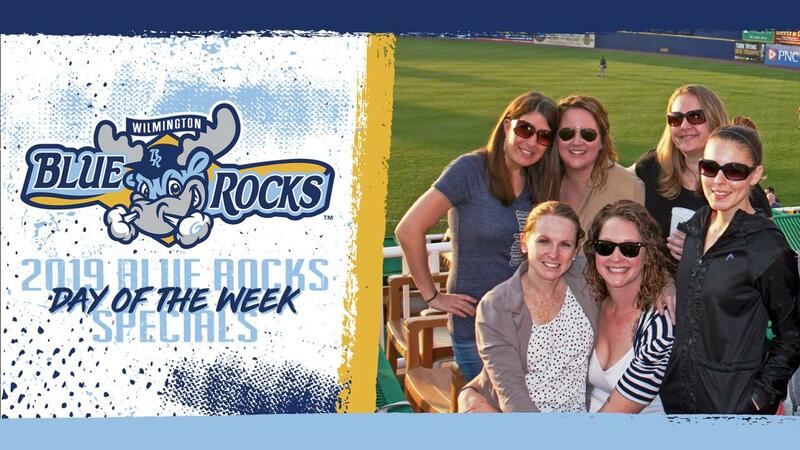 Everyday at the Wilmington Blue Rocks is fun, and now each day of the week has its own wrinkle, which promises to add to the enjoyment for the franchise's passionate fans. From drink specials to giveaways to even an invitation for your dog, the Blue Rocks' daily offerings in 2019 run the full gauntlet. Mondays at Frawley Stadium revolve around our military and first responders. Fans who present a valid/retired military or first responder identification badge can purchase a ticket for just $1. Tuesdays belong to man's best friend as we celebrate Dog Days courtesy of Concord Pet Foods & Supplies. Fans can bring their dog to the ballpark for free. They can also enjoy $1 hotdogs courtesy of Kunzler and Tito's Yappy Hour specials from 5:30- 7 p.m.
Wednesdays and Thursdays revolve around great drink specials. Patrons are invited to wet their whistle on Wednesdays with Miller Lite cans available for just $2 from 5:30-7 p.m. On Thursdays fans should head to the Dogfish Head Off-Centered Fan Deck for $3 Dogfish Head beer from 5:30-7 p.m. Plus there will be live music to add to the atmosphere. On Fridays the night sky will light up above Frawley Stadium, as every home game to end the work week will be followed by a postgame fireworks show. Then on Saturdays fans will have the opportunity to take home a gift just for coming to the ballpark, as each contest will feature a giveaway. Sundays are all about families. There will be a complimentary pregame parent-child catch on the field and player autographs available on the concourse (gates will open 90 minutes before first pitch at 12 noon). After the game all kids can run the bases for free, courtesy of the Delaware Theatre Company. The Blue Crew open their 2019 season at home on Thursday, April 4 against the Salem Red Sox. Individual tickets are available starting on February 23 with the team's annual Blue Saturday Ticket Extravaganza running from 9 a.m. until 1 p.m. Season seats, mini plans and group packages for the upcoming campaign are available now at BlueRocks.com.